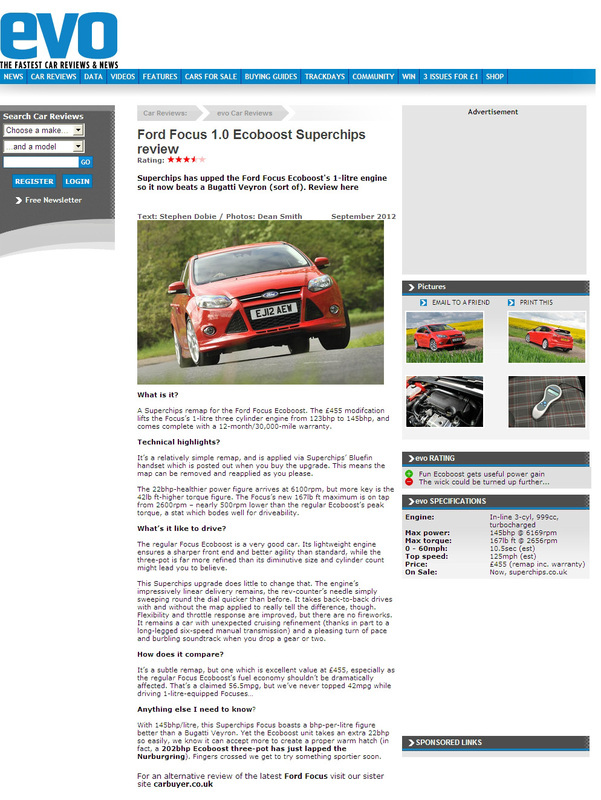 Evo rates the Superchips ECU remap for the 1.0-litre Ford Focus Ecoboost! 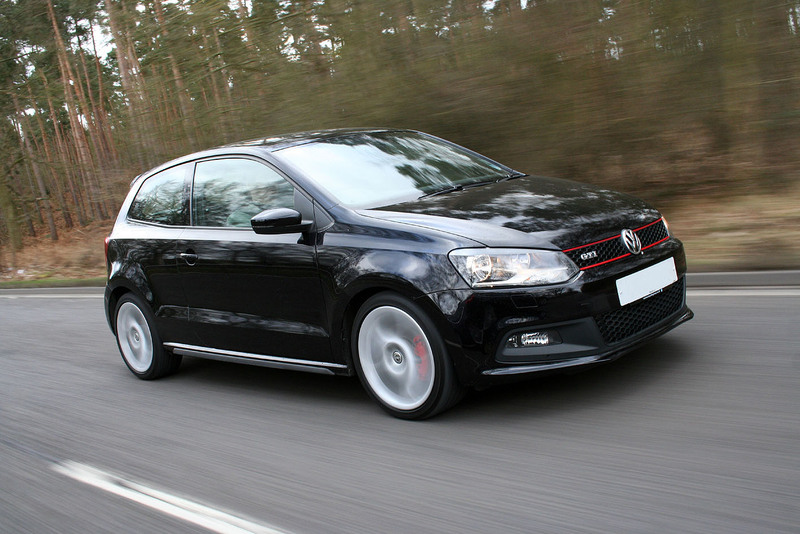 Gain 27bhp on the VW Polo GTi 1.4 TSI (180PS) Twincharge with a Superchips ECU remap! The latest (2010 onwards) model of the Volkswagen Polo GTI 1.4 TSI offers a great combination of light weight, small size and an economical, 1.4-litre direct injection, petrol turbo / supercharged ‘twincharge’ engine, packing 180PS (178bhp,) making it a pocket rocket very much in the tradition of the iconic original Mk1 Golf GTi. 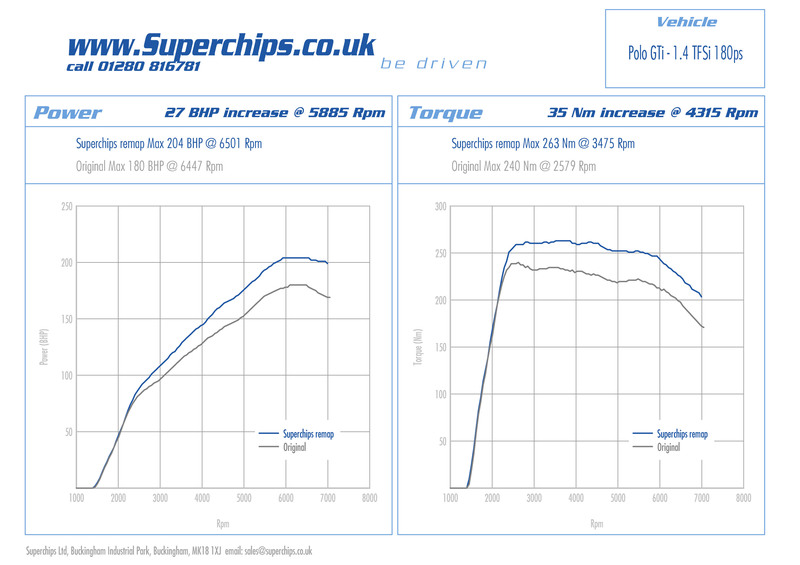 And as with the classic Golf, the Volkswagen Polo GTI 180PS 1.4 TSI responds well to tuning, particularly in the hands of the performance specialists Superchips Ltd, who are pleased to release a new ECU remap (or ‘chip’) for the Polo GTi which picks up power from just 2500 rpm, culminating in an impressive 27 bhp maximum increase at just 5885 rpm. Similarly, the Superchips ECU remapped Volkswagen Polo GTI 1.4 TSI produces a healthy torque boost from 2400 rpm upwards, offering a maximum gain of 35Nm at 4315 rpm. On the road, the Superchips remapped VW Polo GTi 1.4 TSI ‘Twincharge’ is considerably livelier than the standard model, being much more responsive to the throttle and much keener to rev. Combined with a strong mid-range pull thanks to the extra torque on tap, the ‘Superchipped’ Polo GTi is very much the baby hot hatch, capable of outshining much larger machinery. Priced at £455.00 inclusive of fitting and VAT, the Superchips ECU remap for the Volkswagen Polo GTI 1.4 TSI 180PS is on sale now. Please click on: http://tinyurl.com/7wwqm9z for more details.